The forests and front yards of Chappaquiddick, and the greater island of Martha's Vineyard, host a number of trees you won't find in the lumber yard -- Norway maple, sycamore-maple, horse chestnut, sassafras and beetlebung, to name a few. These trees, along with the more common varieties found on-island --red maple, white oak, beech and sycamore -- grow in a harsh coastal environment. These stresses experienced in the development of a tree often result in brilliant, unique and unusual figuring. To harness this local resource, MFWW owns a portable sawmill capable of processing trees up to 21' long and 26" wide into lumber. 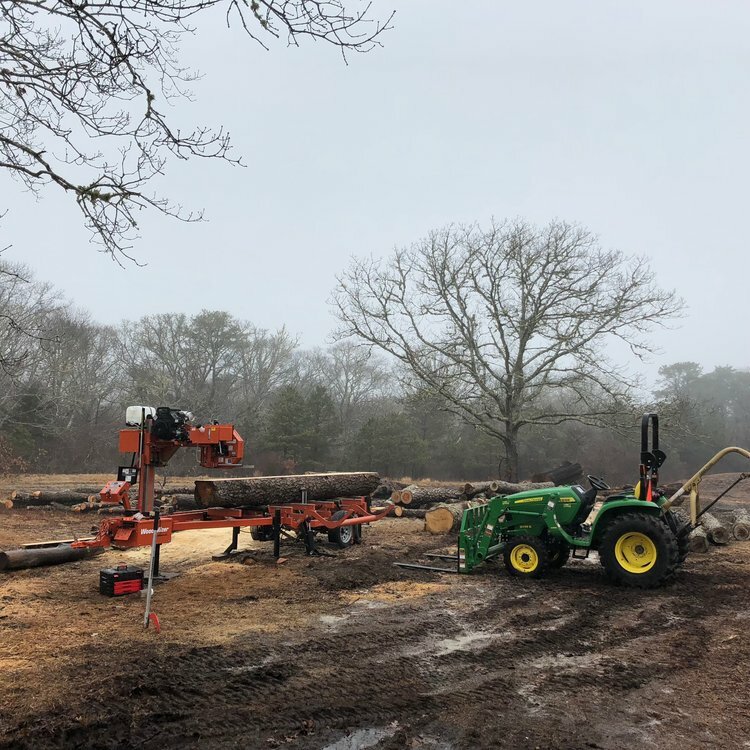 When a tree falls down in a winter storm, or has simply reached the end of its life, the sawmill is the link between an ailing tree and its next stage of life as a family heirloom. If you have a tree that you'd like to transform into a piece of furniture, please get in touch.